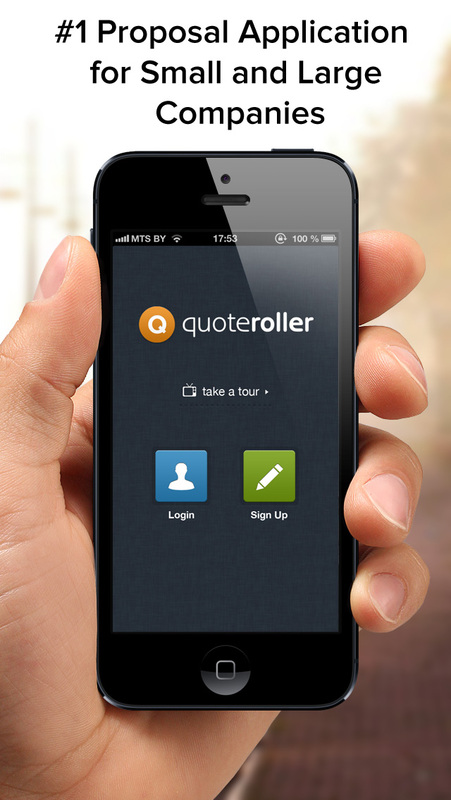 Quote Roller’s Big iPhone App Release! The Quote Roller iPhone application has finally been updated to where it should be. It’s still a free app to be used alongside the web-based Quote Roller, and it’s another tool you can use to keep you mobile and selling, not stuck behind a desk. So, without further ado, let’s jump right into re-introducing you to the Quote Roller business proposal app and its newest features. What’s the Quote Roller iPhone app all about? Well, as you know, Quote Roller is the #1 software to allow you to create, send, track and get eSigned business proposals fast and easy. Our iPhone app is a fantastic tool to help you do just that. It works as a free tool to assist your sales process — you still need to use the Quote Roller web-based app to create a Quote Roller account for the first time and to create proposals. Now, you can still do that on-the-go because you can just switch over to your browser. 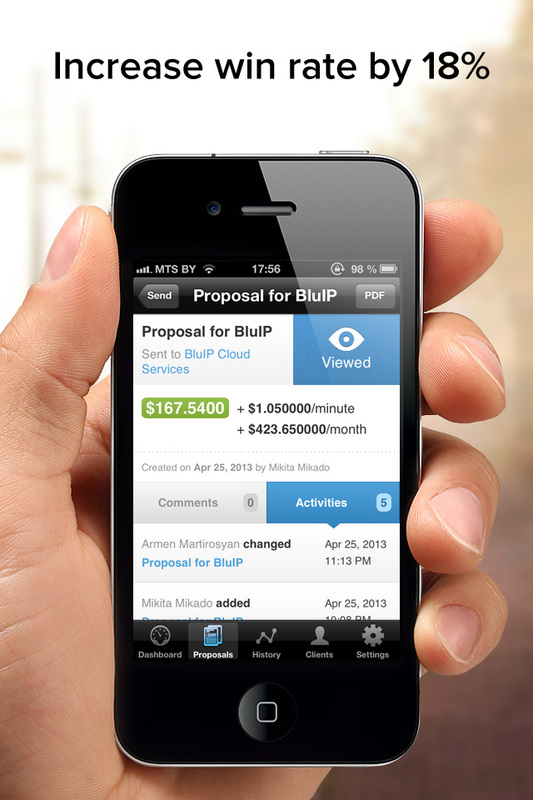 So what can this handy business proposal app do? You know you’re just going to lose that business card anyway. 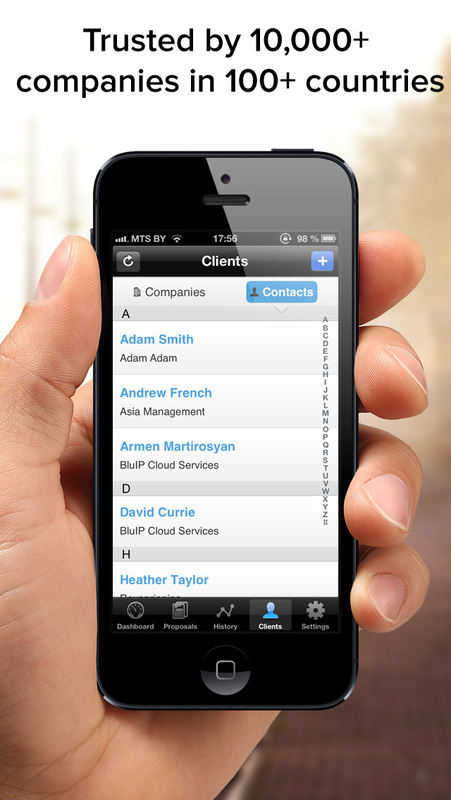 Update your business contacts the moment you get them. Then, it’ll pour right from your Quote Roller app into any CRM or other integrator you’ve partnered with. You know and love your Quote Roller Dashboard — or, as I like to call it, your Scoreboard of Winning. 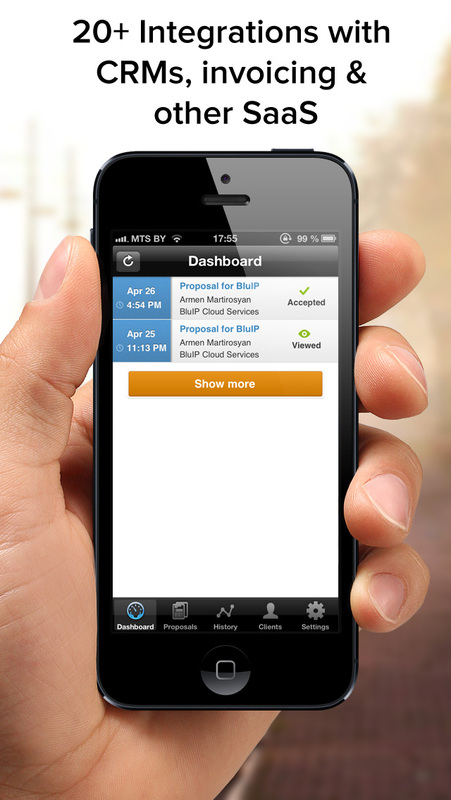 Our business proposal app notifies you immediately if your proposal has been accepted, if it was opened, what was opened and for how long. Check information like this right before you go into a sales call, to create the most informed followup around. See latest versions of your proposals and who made changes. 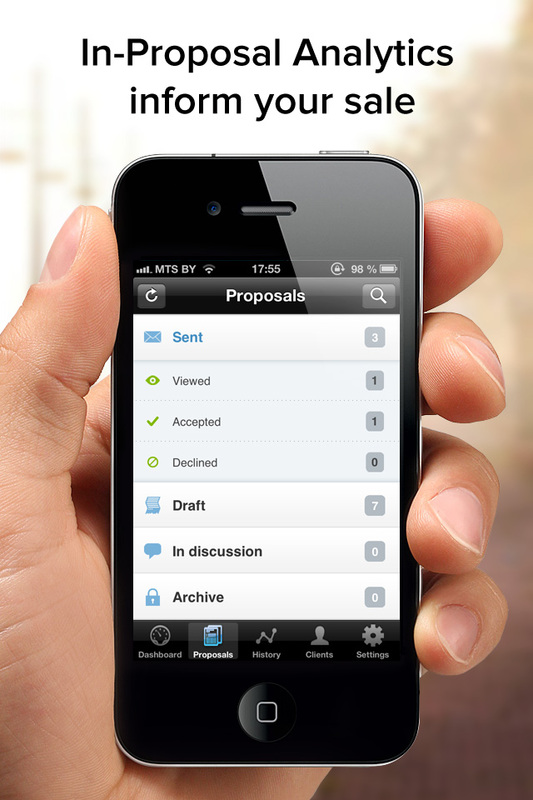 You can click the “PDF” button to view any proposal in its entirety. If your client has annotated one of your proposals, you can view their comment and then go ahead and respond to him or her via the app. Come on, we know you’re in it to win it! And when you’re out in the trenches, sometimes you just need a little motivation. Certainly being able to see how much money your winning business proposals are bringing in for you will give you that moral boost you need. Plus you’ll be raking in more with Quote Roller, anyway! Now you can synchronize all of the tabs and the entire app with the web-based version — and vice versa — simply by hitting the nifty Sync twirly arrow button in the top left corner of the app. Analytics is updated. Now all proposals with the status “Sent” are found both in History and on your Dashboard. Improved sorting within the tabs. Now all proposals are organized by date. We’ve also fixed some other smaller bugs that our users have reported to us. Keep telling and we’ll keep telling! What more do you want to see?